Surface mounted base for 3" O.D. Round post. Durable cast aluminum construction. 3" id Fitter. 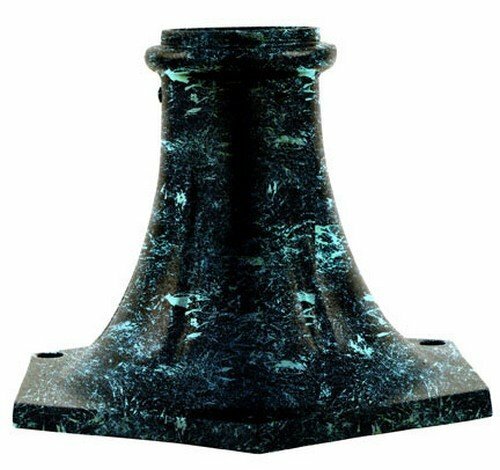 Finish available: black, bronze, white, and Verde green. . Specification: overall dimensions: 8.00"H x 11.63"W x 11.63"D.